According to the National Catholic Register, "The Priest Shortage Isn’t Over, But Seminaries Are Filling Up"
A Catholic Life recently posted that "Fifty five men ordained for the Legionaries of Christ". 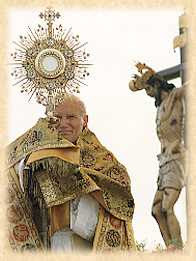 Recently, I read that Eucharistic Adoration is fast becoming a very popular devotion. Could there be a correlation between Eucharistic Adoration and more men entering the seminaries? IMHO, you'd better believe it! Sue, the lady who shares lots of the reflections with me, also has a group of prayer warriors. The following is one request she received. Please pray for Danny. He is in New York, and, at 61, is now homeless. Please pray with me the Lord will provide suitable housing, and the sustaining means for him to live(before the end of this week). May God's timing coincide with our sense of urgency in this matter. I really need your prayers this week for strength and provision as i find myself homeless in NYC at 61 years of age and feeling very, very tired. Sue usually provides an email where you can send a message of encouragement. However, in respect for Danny's privacy, I will not post his email here. If you would like to send him a message, just post a comment or send me an email and I will relay it to him. "I want to tell them of the poignant sorrows which filled My Heart at the Last Supper. 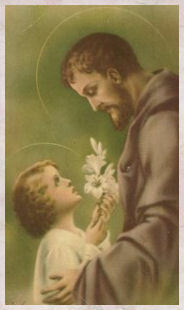 If it was bliss for Me to think of all those to whom I should be both Companion and Heavenly Food, of all who would surround Me to the End of Time with adoration, reparation, and love... this in no wise diminished My grief at the many who would leave Me deserted in My tabernacle and who would not even believe in My Real Presence". Into how many hearts defiled by sin would I not have to enter... and how often this profanation of My Body and Blood would serve for their ultimate condemnation. Ah! Josefa, let the thoughts of My Heart sink deep into yours. 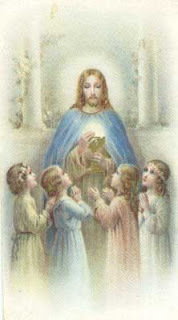 It is love for souls that keeps Me a Prisoner in the Blessed Sacrament. I stay there that all may come and find the comfort they need in the tenderest of Hearts, the best of Fathers, the most faithful of Friends, who will never abandon them. 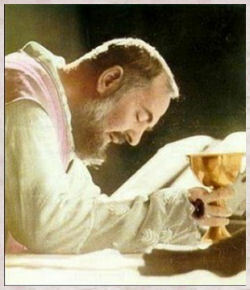 The Holy Eucharist is the invention of Love... Yet how few souls correspond to that love which spends and consumes itself for them!" When your child is homeschooled there is a less likely chance that he or she will encounter trouble with bullies. However, if your child is in public school (more so than a private school I would think, but maybe there is just as much bullying at those institutions too) there is more of a chance that child may have a bully problem and the parent may not even be aware. From what I have been reading or hearing, bullying is becoming a big problem worldwide. There is bullying in person but now there is also the problem of cyber-bullying. Stand straight and tall if faced with a bully; look him straight in the eye. Tell the bully "Stop it, I don't like it. Leave me alone." If at all possible, don't cry or show you are upset. Walk away if you can't hide your feelings. Report events to an adult you trust. Expect action to be taken. Contact your child's school, anonymously, and ask if there is a bullying policy. Then, if assured your child won't be exposed to greater risk, inform them of the events that transpired, including a date, time and place. Follow up with school authorities. Ask what action has been taken and how your child will be kept safe if his identity has been exposed. VATICAN CITY, JAN. 10, 2007 (Zenit.org).- The Church's first martyr teaches that persecution will never be lacking in the history of the Church, Benedict XVI says. The Pope made these comments during today's general audience in Paul VI hall, which he dedicated to the figure of St. Stephen. 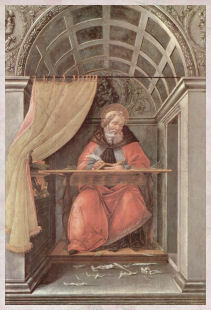 The meditation is a continuation of a series he has been giving on the first Christians. Recalling the account of his martyrdom -- witnessed by Saul of Tarsus, the future St. Paul -- the Bishop of Rome explained that Stephen "speaks to us above all of Christ, of Christ crucified and risen as the center of history and of our life." St. Stephen helps us to understand that: "The cross occupies always a central place in the life of the Church and also in our personal lives," the Pontiff explained to some 7,000 people present. 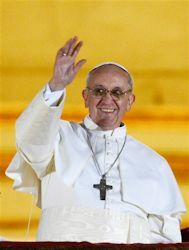 "Passion and persecution will never be lacking in the history of the Church," the Holy Father said. "And, precisely persecution becomes … source of mission for the new Christians," he underlined. 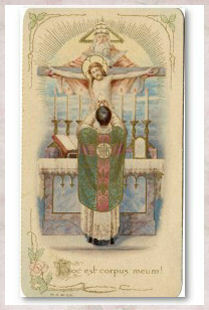 "Also in our lives the cross, which will never be lacking, becomes a blessing," the Pope added. "And, accepting the cross, knowing that it becomes and is a blessing, we learn the joy of the Christian, even in moments of difficulty." 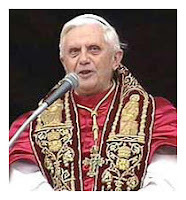 Benedict XVI said: "The value of the testimony is irreplaceable, as the Gospel leads to Him and the Church is nourished of Him." 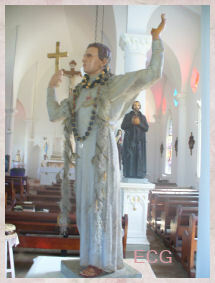 St. Stephen "teaches us to love the Cross, as it is the way through which Jesus always makes himself present again among us," he said. The papal catechesis recalled that the first seven deacons, among them St. Stephen, were appointed by the apostles to help the first Christians who lived in poverty. 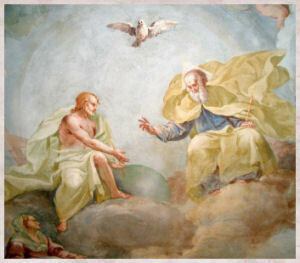 The Pope added that Stephen understood that it is "not possible to disassociate charity from proclamation" of Christ. The Holy Father said: "With charity, he proclaims Christ crucified, to the point of also accepting martyrdom … Charity and proclamation always go together." The Pontiff's address continued the series of meditations he is offering on the most important personalities of the nascent Church, after having reflected on the figures of the apostles. Dr. Manny of the Fox News organization has tips for couples who may be considering adopting internationally. 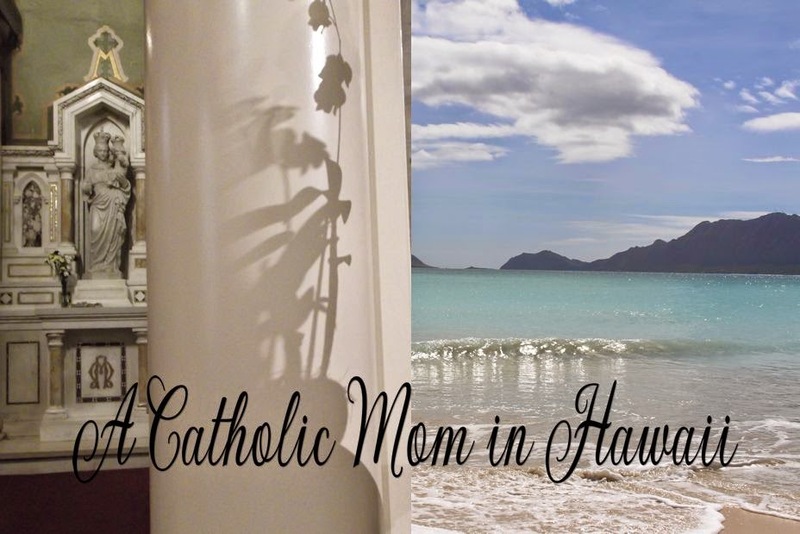 As a couple who adopted internationally, we were blessed to have Catholic Charities in our corner, as well as the Catholic sisters overseas. Not everyone is blessed this way so it is a good idea to be as educated as possible. There’s been a growing allure surrounding international adoption ever since the likes of Angelina Jolie, Madonna and Guy Ritchie, and Tom Cruise and ex-wife Nicole Kidman took the plunge. While it’s certainly an exciting event to bring home a baby under any circumstances, bringing home a child orphaned in a foreign country has a special euphoria attached to it because you know that child will be getting many advantages he or she would have otherwise gone without. While you should certainly enjoy the emotional high, be careful not to let it cloud your common sense. Adopting a child from a foreign country brings with it a number of health issues that you must be prepared to deal with. --Is the child's birthdate known? Birth height and weight? --Has the child had any illnesses, and if so how were they treated? --Has the child ever taken any medications? --Does the child have any known allergies? Click title above for the rest of the article. 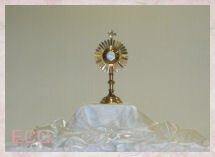 This WEBSITE contains all the prayers you will need for a Holy Hour of Eucharistic Adoration. Have Mercy, O gentle Jesus! on the Souls detained in Purgatory. 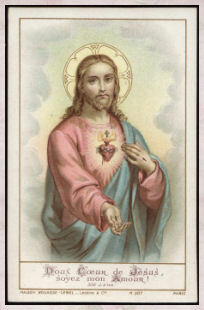 Thou Who for their ransom didst take upon Thyself our human nature and suffer the most cruel death, pity their sighs and the tears shed when they raise their longing eyes toward Thee; and by virtue of Thy Passion, cancel the penalty due to their sins. May Thy Blood, O tender Jesus, Thy Precious Blood, descend into Purgatory to solace and refresh those who there languish in captivity. Reach forth Thy hand to them, and lead them into the realms of refreshment, light and peace. Amen. A thought to ponder. Then thank God for the teachers who helped you. THIS IS WORTH SENDING TO EVERY TEACHER, including home educators YOU KNOW. (And everyone on your mailing list, for that matter). "Teachers make every other profession "
The following text is the reproduction of booklet, “The Holy Mass,” in which Our Lord and Our Lady explain to Catalina what is really going on during the Mass in the spiritual realm, and how we should be more concentrated on the great mysteries that are taking place. I will share some excerpts with you. Click the title above if you wish to read this in its entirety. hit you. You expressed yourself in a very non-advisable way against that poor man, instead of saying your prayers and preparing yourself for Mass. You have failed in charity and lost your peace and patience. And you say you have not hurt the Lord? As a traditional Catholic, an important question I have often asked myself is why do some Catholics turn away from their faith and turn to New Age spirituality? I have concluded that the answer can be found in one word-- PRIDE. The pride comes from the desire to be like God; the same temptation that took place with Adam and Eve in the Garden of Eden. The temptation that says: “You are equal to God. You are the Creator.” These are some of the promises of the New Age Movement. The document specifically identifies the following as new age: Zen, Buddhism, Yoga, Enneagram, Wicca, the Higher Self, the True Self, ALC’s (altered level of consciousness), the “god” within and TM (transcendental Meditation), but yet I am shocked that if you pick up almost any diocesan newspaper, you are likely to see many of these un-Christian practices advertised. Just wondering what the findings are in Catholics listening to New Age music like Enya. Were the Early Christian Communists? Of course they weren't. But the more liberal Catholics try to convince us that they were according to an article in Tradition, Family and Property Click there to read the article in it's entirety. Dear Jesus, as You led the Three Kings to You by the light of a star, please draw us ever closer to You by the light of Faith. Help us to desire You as ardently as they did. Give us the grace to overcome all the obstacles that keep us far from You. May we, like them, have something to give You when we appear before You. 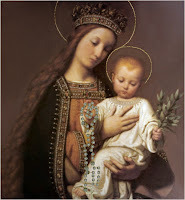 Mary, Our Mother, help us to know Your Son. Amen. In 1976, the Shine of Mary Help of Christians in West Haverstraw, New York, USA, held a "Bicentennial Religious Celebration" The following litany was composed for the occasion. 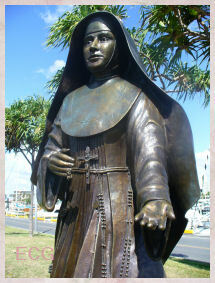 As the pamphlet explains: "It consists of 50 invocations of Mary's help for the 50 States of the Union, each invocation being chosen from the titles of Marian Churches in that State. 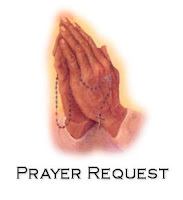 In response let us pray for the people of each State. 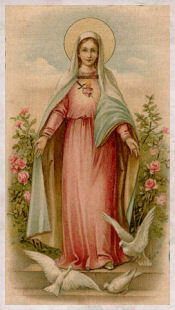 For example, when we invoke "Our Lady of Peace of Maine", please respond "Pray for Maine", and so forth." because, as by His love for all men Christ your Son makes them all Christians and brothers unto Himself, He entrusts them all to you as your children. They were Melchior, Balthasar and cynical Gaspar. While following a star high in the sky. At his side was his mother Mary, the tender and mild. 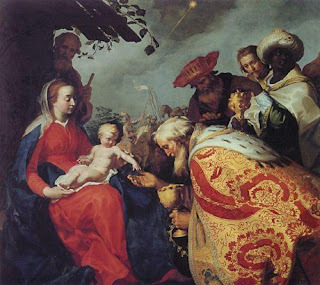 The Church extends itself on Epiphany to the homes of the faithful. The custom of blessing the home on this day probably originated from these words in the Gospel, "And entering into the house, they found the Child with Mary, His Mother, and falling down they adored Him." 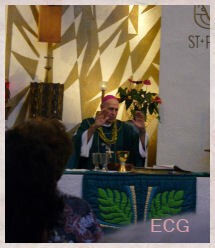 The priest blesses the house if he can be present, but if not, the father of the family may do so.